"The 379 page book ‘Operation Avalanche’ by authors Des Hickey and Gus Smith details the Salerno battle as compiled from lots of painstaking research and interviews with several veterans of that nasty battle. After reading the book and casting my memory back to that time, Sept. 9th to Sept. 17th, 1943, this author found the book entertaining reading, although, he was unable, for the most part, to reconcile his remembrances with the printed words of Gus and Des. The author was a non-erudite 19 year old at Salerno, rather an unimportant member of No. 2 Commando, but he was there, and come to think of it, Gus and Des, he imagines you hadn’t been born at that time. As this author saw it, the landing on the beach at Vietri, which was a little suburb of Salerno, at 3:30 a.m. Sept. 9th, was an absolute breeze! The ramp of the L.C.A. went down and his Troop, No. 4, made a comfortable, dry landing. Not a spot of water on our boots. Needless to say, the boys were not at all unhappy to find that there was no ‘welcoming’ party awaiting our arrival - indeed, no signs of any angry men in grey hanging around. Meanwhile, ‘Mad Jack’ at the head of his troops passed through us in a cloud of dust and speedily captured a battery of German field artillery guns which could have fired on the invasion ships from their positions on the hills about the beach. The author and his friends passed the next four hours doing nothing but watching and waiting, until the next crisis arose. We ran out of ‘smokes’! It should be explained that Colonel Churchill never allowed us to be slowed down by carrying the heavy back-packs containing our reserve ammunition, spare clothing and personal stuff such as food and cigarettes. The overwhelming criteria in ‘Mad Jack’s’ modus-operendi was speed and then more speed to close with the enemy. He reasoned there was always plenty of time for us to get our heavy packs later. The German Army boys could never be accused of being slow to react to a situation, and somehow they mustered enough mortar crews in the hills above the beach which started plastering the area with their bombs. A few M.G. 42 machine guns also started to sweep the sands from time to time. The landing craft crews did not like this atmosphere at all and refused to stay for our lads who were waiting to unload our packs. The faint-hearted sailors shot off from the beach taking with them our reserve ammunition and the other items of our gear – including that essential life-support item, our cigarettes! Nelson would have had that miserable lot keel-hauled! Furthermore, when they fled back to their ships they caused considerable consternation by spreading the story that Vietri was in enemy hands. This nonsense was, of course, untrue. The Vietri beach was only occupied by a gloomy bunch of Capt. Tom Hemming’s boys who were watching their means of survival fade into the distance. Our little group (still smokeless) was then detailed to get up to the coast road, which any enemy reinforcements from the North would have to use, and take up a blocking position astride the highway. 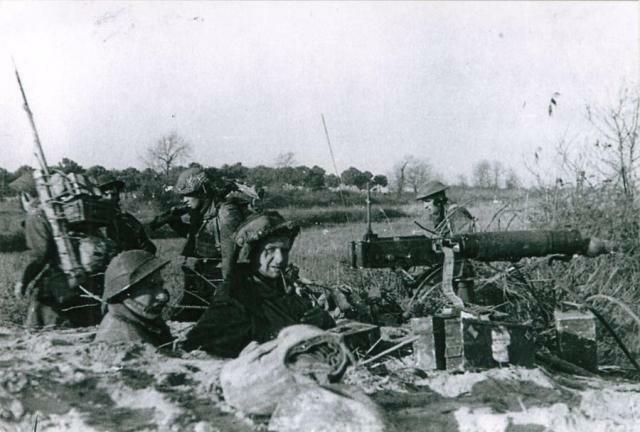 We marched up the scrub-covered hill until we came to a road and started to site our bren gun position. At that moment we heard a tremendous roar and were showered with debris from an explosion. The Germans had managed to place and detonate a large cratering charge in the middle of the road. After the dust had settled a bit we observed two German sappers who had done the deed leaving the scene. These two soldiers never lived to receive congratulations on job well done from their superiors! Tpr. Gordon David, an ex-cop, brought both of them down with two well-placed shots. We buried them in the crater that they had made. All through that night and the following morning we heard the rattle of automatic weapons and the thump of grenades as the troops of No. 2 patrolled the hills and two small hill villages above our heads. They and the boys from our companions, No. 41 R.M. Commando, prevented infiltration by the enemy, maintained strongpoints on strategic features and took prisoners. One report reached us which told of Capt. John Henderson taking on and knocking out a PZKW Mk.4 Tank with that crude PIAT mortar weapon. Also there was an account of Sgt. William Rudge with Pte. C.E. Smith taking on a patrol of five panzer-grenadiers, killing all of them and returning with their weapons and identity discs. Although we were taking steady casualties from these activities there was no cause for alarm as we were supposed to have been relieved by a 46th Division battalion after 48 hours. More wishful thinking! The morning of the 11th is noteworthy for three events. First, ‘Mad Jack’ had announced in a very quiet voice – one could barely hear him – that he ‘thought the Commando had been efficient in its operations’. The second event was the arrival of our large backpacks (thoroughly looted), dumped on the beach. The third event was the contact on the left flank of the Commando with our old friends, the U.S. Rangers. The Rangers’ young officer said to the author by way of presenting his credentials ‘I was at Achnacarry’. Charlie Vaughan would have liked to hear his school being used to establish bona-fides. Then this likeable soldier just about emptied his, and the pockets of his seven men, of packs of cigarettes and gave them to us. He said for us not to worry as ‘they had stacks of butts back there’! In the evening of Sept. 12th, we moved into the village of Dragone and onto the slopes of the hill behind the little place. The author thought it strange that so many of the Commando were being concentrated at this one place. Maybe there were 150 to 160 men there, the actual number is not given in the 2 Commando War Diary because no actual count was ever taken. The sounds throughout the night were unmistakable – transport, tank engines, even voices of German paratroopers, panzer-grenadiers and nebelwerfer crews. The men of 2 Commando readied their weapons and waited as did the Marines of No. 41 Commando close by us. The ensuing battle which commenced by a saturation coverage of our positions by the nebelwerfer rockets started just before 6:00 a.m., was later described by Lt. Col. Churchill in one sentence: ‘There had been a terrible battle at Dragone’. For ‘Mad Jack’ to use those somber few words to tell of what happened gives one some idea of the severity of the action. Even our leader, ‘the bravest of the brave’, was stunned by the horror of that morning of Sept. 13th. 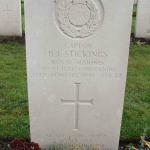 This author has decided not to revisit that hill by recounting a blow-by-blow description of the battle, but instead to remember the friends that were lost, and to recall his joy at seeing the faces of some of his comrades who had somehow endured the horror of that morning and survived. Pte. Dennis Wright from Birmingham, age 18. In addition, 53 members of No. 2 Commando were wounded in the struggle for Dragone Hill, Sept. 13th, 1943. Pte. John Barry of Yorkshire, age 22, and Pte Alfred Blower of Liverpool, age 25 died of their wounds. The author would like to share an incident concerning the battle at Dragone with others. It came during the counter-attack made by the Commando. A group of four men, including two walking-wounded, found themselves in a narrow cobbled alley which passed for the main street of the hamlet and saw two German paratroopers, with weapons slung across their backs, attempting to carry a wounded comrade to safety. The No. 2 boys knew that they were paratroopers because of the bulbous trousers and distinctive, rimless helmets. The paratroopers turned and found themselves looking at our four with weapons pointing in their direction. The N.C.O. leading our group said: ‘No firing lads!’ and motioned with his arm for the Germans to keep going and get their wounded man out of there. One paratrooper raised his arm in acknowledgement and they vanished around the corner of the alley. It seemed to this author that, at that moment, humanity had arrived to reassert itself in his world. The Commando duly moved to Mercatello, about three miles east of Salerno. Our friends, 41 R.M. Commando, had also moved at the same time. On arrival, we were informed that a serious situation had developed in the valley below Pigoletti during the previous night and he (the Brigadier) wanted the Commandos to ‘sweep’ the area and clean out the enemy forces. The ‘sweep’ was performed with Commando elan. Our boys, with the 41 lads alongside, went up the valley in the dark, all yelling ‘COMMANDO!’ at the top of their voices. Jack led the way, far ahead, and as is related elsewhere, took 42 prisoners virtually by himself. A short distance away, Capt. Tom Hemming, accompanied only by his runner, Pte. Bill Davidson, also grabbed nearly 40 prisoners. 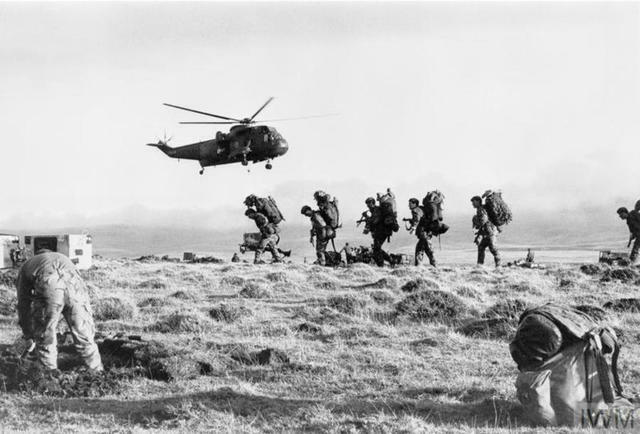 Having completed the requested ‘sweep’, the Commando returned to its start line bringing with them a total of about 150 German soldiers that they had taken prisoner. However, this was not the end. The Commando, as a result of a change of plan, were ordered to retrace their steps and occupy the same areas once again. The weary men of No. 2 and 41 returned to Pigoletti and a feature known as ‘The Pimple’. During the course of the next two days the Commandos held their positions with their losses steadily mounting. Capt. 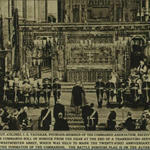 The Duke of Wellington and his T.S.M. Lindsay Garland both were lost leading an attack on Sept. 16th, as was Pte. Joseph Jackson from Warrington. Many more army and marine Commandos were among the fallen before the two Commando units were finally relieved on the evening of Sept. 18th. 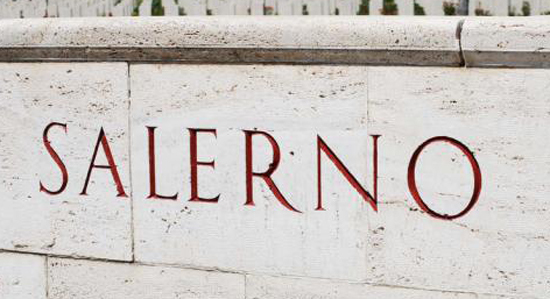 The battle for Salerno had been won and the men of No. 2 Commando who had come through it all could now await their removal to Sicily where they would recruit and rebuild once again. Here we look at statistics once again: No. 2 Commando and No. 41 R.M. Commando together had 367 killed, wounded or missing out of the 738 who had landed in the Salerno operation. Not one Commando was taken prisoner by the enemy. The men of No. 2 Commando will never forget their comrades of No. 41 R.M. Commando. To these warriors of 64 years ago, the author wishes to record his belated appreciation and say that it was an honour to have taken the field alongside you!"